Welcome to the transfer centre. From here you can start a new transfer request, check up on a currently pending request or instantly copy a character from one of our realms to another. 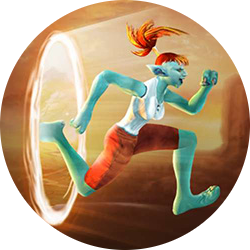 For transfers from other servers we provide either an almost complete copy or a template character. For some realms you can choose which you would prefer, but for others we may only be able to offer one of these. Do make sure you read the rules on what we do and don't allow. It is best to avoid any unexpected surprises here! Read up on what we do and do not allow in our transfers. Transfer a character to one of our realms from another server. Go to the transfer manager to view the current status of your request. Transfer a character from one of our realms to another. Etrobian Second theme created and designed by Etro.